Congratulations to all of our April giveaway winners! Born at Home Toys is a family owned toy workshop creating natural wooden toys for your little ones. The Happy on the Farm animal set is a cute six piece farm animal set: a cow, horse, sheep, goat, pig, and chicken. They’re the perfect size to fit in his little hands, and their simple shapes and minimal detailing make them easy to handle and identify. You can purchase your own Happy on the Farm animal set at Born at Home Toys. The set retails for $28 USD and shipping options are USPS or First Class and is calculated based on destination. And just for Natural Parents Network and Embrita Blogging readers, Born at Home Toys is giving a 30% discount on all orders from now through 5/21/12. Enter code npnthirty during the ordering process. Follow Born at Home Toys on Twitter. Heart Born at Home Toys on Etsy. Check out the Born at Home Toys Blog. Like The Other Baby Book on Facebook. 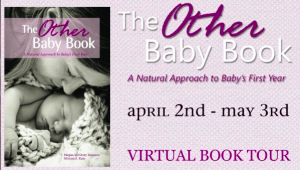 Check out The Other Baby Book blog. Follow The Other Baby Book on Twitter. Glamourmom tanks are fabulous nursing tanks that provide the support of a built in bra, along with a tank top to cover your tummy! 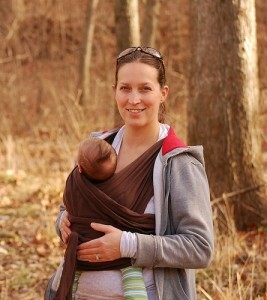 Check out the Glamourmom blog. Follow Baby K’tan on Twitter. Check out the Baby K’tan YouTube Channel.